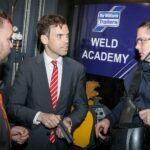 A trailer firm has created 30 new jobs after setting up a new academy to train welders. 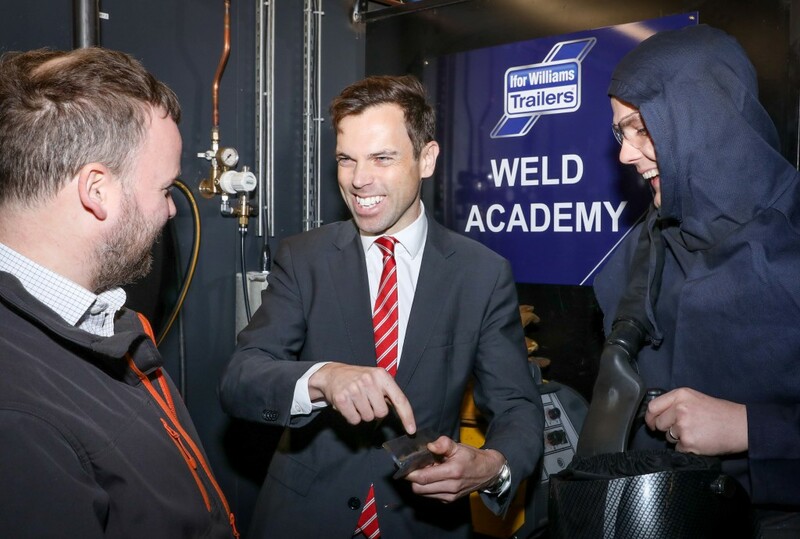 The training school at Ifor Williams Trailers was officially opened by Clwyd South AM Ken Skates, who is also the Welsh Government’s Economy and Transport Minister. 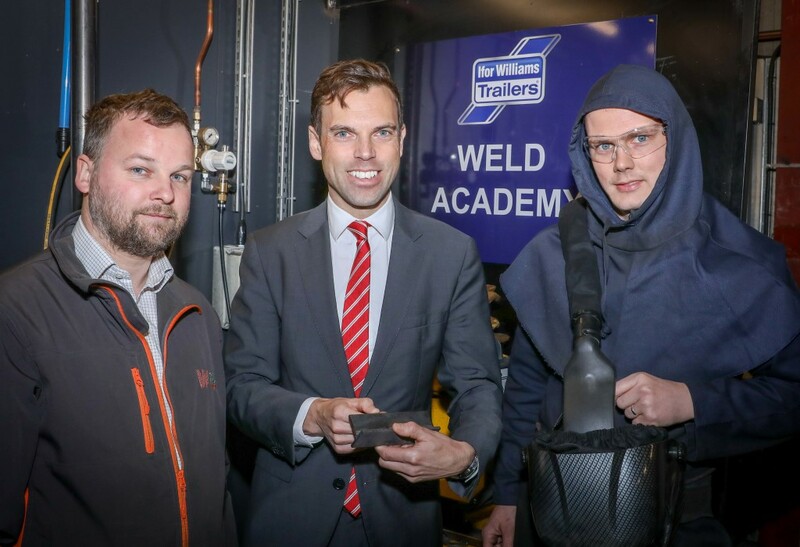 The company took the decision to train their own welders at a time when orders for their market-leading trailers are soaring. The iconic Welsh brand was established in 1958 in Cynwyd, near Corwen, where it still has a factory. 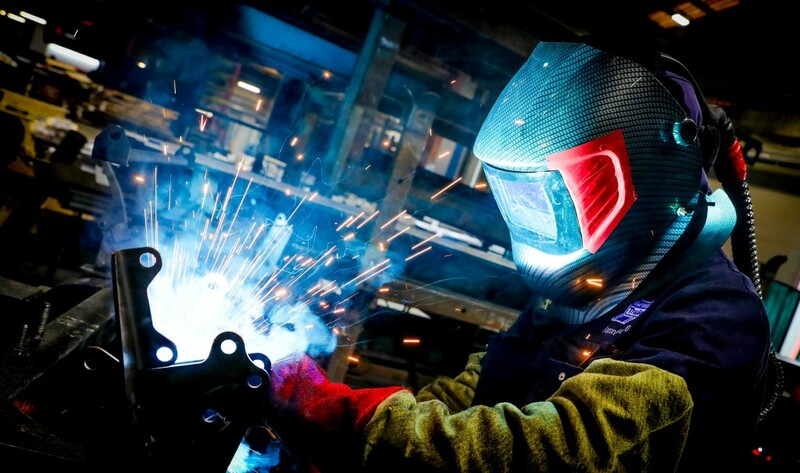 The firm also has manufacturing sites in Corwen, Ruthin, Sandycroft and on Deeside Industrial Estate where it employs a total of more than 500 people. 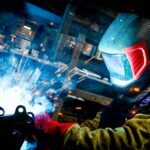 The 30 welding jobs are on top of the 100 posts created at the new £5 million Sandycroft factory which opened in November 2017 and as part of the company’s ongoing recruitment drive. As well as having 50 UK trailer outlets, the company has an international network of distributors as far afield as Australia and New Zealand. 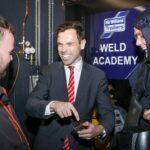 Mr Skates said: “Setting up the Weld Academy was a brilliant idea. 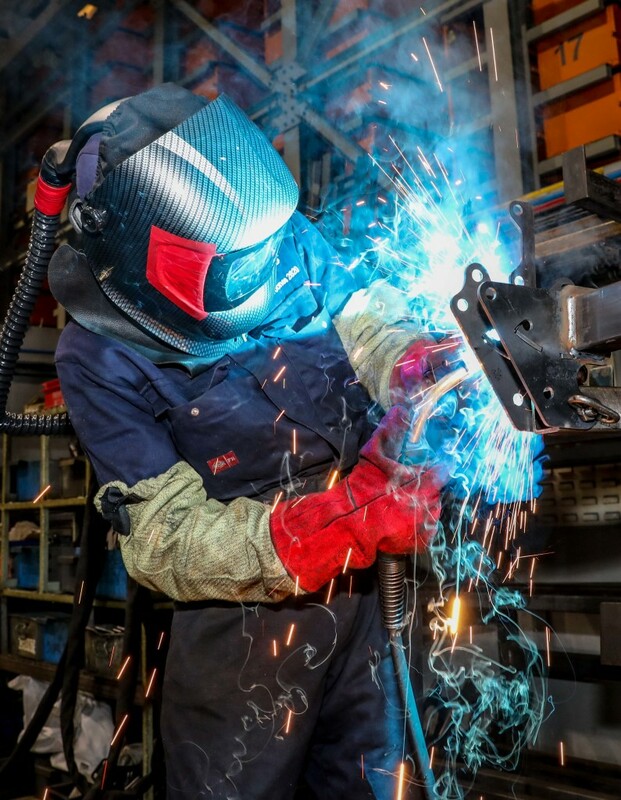 “Today I’ve learned that new welders can acquire all of the knowledge and skills required to then go on to the shop floor to build the trailers, to weld them together and to produce what are incredibly important high-quality goods in the international market. 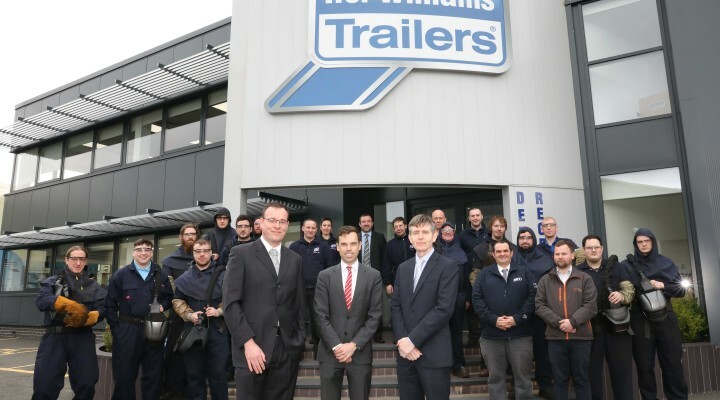 “It’s music to my ears to hear about a world class company like Ifor Williams Trailers investing in training and development, making sure that the employees here are equipped with the skills that will make sure they stay here for a good length of time to come. “Ifor Williams Trailers is a flag-carrier internationally for Wales, and for the UK it’s got to be said. It’s a jewel in the crown of the Welsh economy. “I’m incredibly proud the company is based here in North Wales. It employs a huge number of loyal, dedicated, skilled people and it’s an incredible success so we must never stop cheering. “There is a hunger for further continuous improvement and for research and development and innovation, and that’s exactly what we want to see across the Welsh economy. 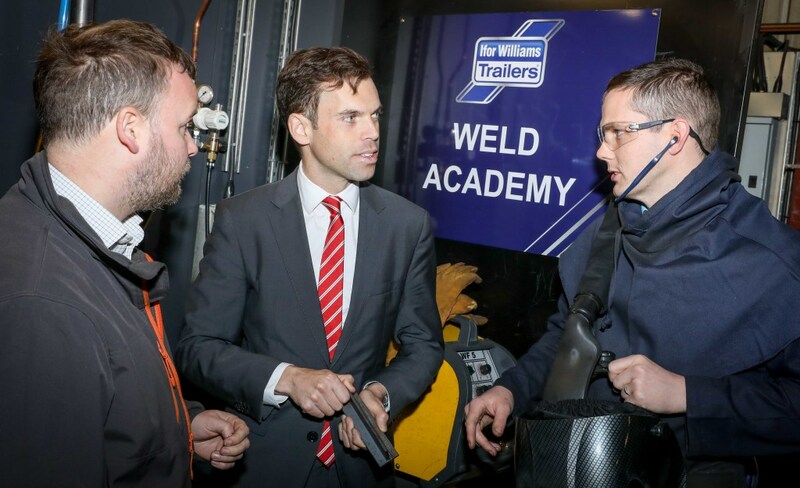 Project manager Nick Backstrom, who runs the Weld Academy based at the Corwen factory, said: “This is all about getting the local workforce skilled in line with the bespoke needs of Ifor Williams Trailers. “It’s a really intensive course that can take someone from zero skills to being production-ready tailored to the needs of the business. “They’re putting in close to a 150 weld hours behind the mask before they’re released. Among those who has made the grade is Nathan Jones, 29, from Ruthin, who said: “I wanted to further my career and learn more skills and it’s been really good because I have learned so much. “I tell my friends that they need to apply because it’s such a good opportunity and it’s good company to work for. “I’m proud when I see the fruits of my labour being towed out on the roads and my children are also proud every time they see one of the company’s trailers. 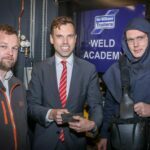 Fellow Weld Academy graduate Matthew Cooke, 38, from Bala, added: “The Weld Academy was good and it was good to be taught by highly skilled people. “I learned a lot and it’s given me a real insight into the quality of the trailers here. It was a sentiment echoed by trainee team leader Zenia Durek, who joined the company last June. She said: “Things are going absolutely brilliantly with the academy and we’re really enjoying it. Richard Bull, Head of Components at Ifor Williams Trailers, said: “We are looking for people who will buy into our ethos of producing high quality trailers that combine high technology with strength, durability, ease of maintenance and value for money. 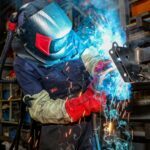 “As specialists in trailer design and engineering, we have continued to set the standard both in the UK and throughout much of Europe and across the world.